The leap from high school to college is an enormous intellectual hurdle. But UC Merced engineering Professor Yanbao Ma wants to ease the transition by better preparing Central Valley students for the rigors of university-level coursework. That’s why he teamed up with CalTeach to launch the Bobcat Summer STEM Academy. “Our goal for the summer program is to stimulate the interest of middle- and high-school students in STEM,” Ma said. In its inaugural year, the academy is offering one- and two-week STEM workshops geared toward students in the Central Valley. Courses are held on campus and led by UC Merced faculty and graduate students with expertise in their respective fields. Participants receive classroom instruction and hands-on training in the fields of 3-D Design & Prototyping, Biology and Biomedical Sciences, Computer Programming and Robotics. And the workshops are offered at a price that Ma says is unusually low. The academy also provides UC Merced undergraduates the opportunity to gain valuable teaching experience under the watchful guidance of faculty and graduate students. 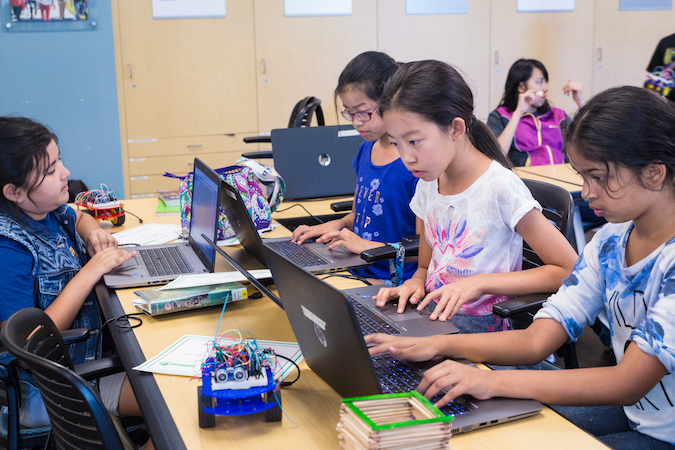 Alexus Garcia, a fourth-year computer science and engineering major, led hands-on demonstrations as part of the middle school robotics workshop. “I do a lot of volunteer work with high schools. So when the professors told me they were doing middle school outreach, I wanted to volunteer,” Garcia said. But the summer academy represents only a small part of Ma’s larger vision. He hopes it serves as the pilot program for a far more ambitious effort: the California Higher Education Center, a new institute that Ma hopes to launch dedicated to preparing Central Valley students for college. Citing California’s higher education statistics, Ma notes that only 16 percent of Valley residents age 25 or older have a bachelor’s degree, compared to 31 percent statewide and nearly 60 percent in the tech-heavy Bay Area. Ma believes the center should be part of the solution, providing Valley communities with services that narrow the education gap. Ma isn’t alone in his efforts. 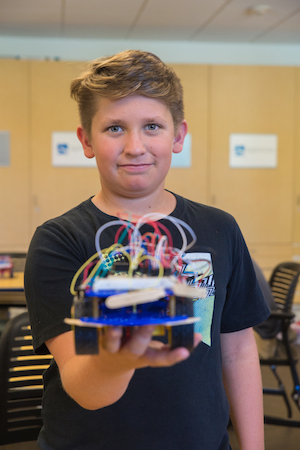 He partnered with CalTeach — a UC-wide program that trains aspiring K-12 STEM teachers and offers professional development for working teachers — to turn his vision into a reality. Both Ma and Arnold are now working to secure additional resources for Ma’s initiative, as well Arnold’s idea for an on-campus Learning Lab that will host K-12 students and offer hands-on educational activities. “The grand vision is an indoor-outdoor space with state-of-the-art research equipment where students can do things they cannot do in the classroom,” Arnold said. Arnold also hopes the Learning Lab will eventually include the arts and humanities, in addition to its initial STEM focus. Ma credits the success of the inaugural summer program in part to a number of UC Merced colleagues. Professor YangQuan Chen developed curriculum for the robotics program. Lecturer Chi Yan Leung developed curriculum for the computer programming workshop. Lecturer Alejandro Gutierrez and graduate student Omar Samara developed curriculum for the 3-D Design & Prototyping workshop. Professor Changqing Li, Center for Cellular and Biomolecular Machines Executive Director Carrie Kouadio, graduate student Yue Zhao and Instructional Lab Manager Jim Whalen developed curriculum for the Biology and Biomedical Sciences program. Many graduate and undergraduate students ran the daily workshops.